When I first heard about “Power” and that 50 Cent was producing it I was skeptical. I thought that it would be completely ridiculous and cheesy and utter garbage. However, after finishing Season 1 I have to bite my words. The show has really caught my attention and now I am hooked; waiting week to week for each episode. The show is about James “Ghost” St. Patrick (Omari Hardwick) a nightclub owner, husband/father of three, and a powerful drug dealer. He juggles his two lives continuously with the dream of being more than just a drug dealer and eventually focusing on his nightclub exclusively. James is surrounded by Tommy Eagan (Joseph Sikora) his hot headed partner who he has known for 25 years. Tasha (Naturi Naughton) his wife tries to keep James focused on the drug dealing business as she feels he is sidetracked by the club. One night James runs into Angela Valdez (Lela Loren) a high school sweetheart who got away and became a government lawyer. Seeing Angela again causes James to start questioning his life and what he actually wants for himself. In the meanwhile he has to deal with people trying to kill him and make his business even harder both at the nightclub and the streets. Omari Hardwick delivers a great performance as Ghost. He tries to show just how difficult it is to go legit when everyone wants him to stay focused on drug dealing. Ghost is conflicted on everything in his life and tries to appear as if he can handle it all but becomes overwhelmed by all the pressure. The show does a great job of showing how ruthless Ghost can be when feeling threatened. The show presents New York as this gritty dog eat dog world where everything is up for grabs and nothing is sacred. The drug dealers who operate in this world are constantly on guard and find it hard to trust one another. Overall “Power” is a must-watch for its depiction of street life with an edge of sophistication. It also showcases different ethnic groups including Puerto Ricans, Cubans, Haitians and African Americans. 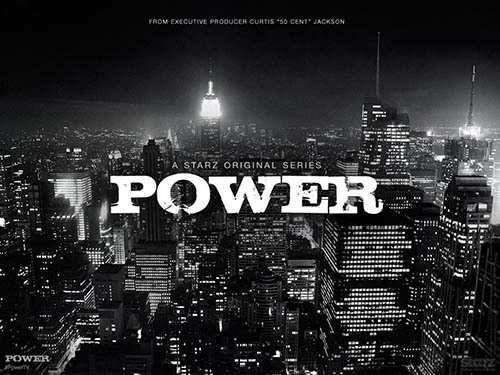 I highly recommend checking out “Power”.